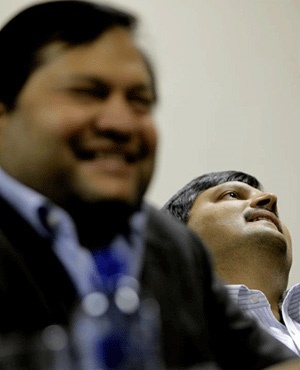 Cape Town – Gupta-owned Oakbay Investments said it is reviewing suspicious transactions stemming from its JSE-listed Oakbay Resources and Energy, after the JSE cancelled them on Friday. The JSE cancelled the transactiosn on Friday, hours after Finance Minister Pravin Gordhan and his deputy, Mcebisi Jonas, had been recalled from their positions. “When routinely monitoring trades during the morning of Friday 31 March 2017, the JSE’s Market Regulation team identified trades in Oakbay Resources and Energy Ltd shares that appeared to be evidence of market abuse,” Peter Redman, senior technical advisor in market regulation at the JSE, told Fin24 in a statement on Monday. “These trades were cancelled,” he said. “A report has been prepared and will be handed to the Directorate of Market Abuse at the FSB. Oakbay told Fin24 in a statement on Monday that it “noted recent media reports regarding the JSE's pro-active monitoring of several recent trades in its shares”. “The company, at present, does not have any information relating to these transactions and is in the process of conducting a review in this regard. “A further update will be provided once the outcome of the review process has been determined." Business Report said that Oakbay shares surged 28% on Friday, “with one analyst saying that the upswing could be due to a renewed optimism about the nuclear programme following former finance minister Pravin Gordhan and his deputy Mcebisi Jonas's dismissal”. Oakbay Investments, which owns 80% of Oakbay Resources and Energy, converted the Industrial Development Corporation’s (IDC's) R256m loan to a 3.57% equity stake when it listed the company in 2014. “Considering Oakbay’s share price has since fallen back to R9.15, if the IDC accepted the R50 share price, taxpayers effectively gave the Guptas about R200m in the deal, not to mention the interest that should have been paid,” Business Day reported on Tuesday.